| Interview by Daniel Codella conducted on June 27, 2010. Contributing music for TV shows like "Hannah Montana" and "Highschool Musical" have helped Michael Elsner earn a well deserved reputation for being one of Nashville's most talented songwriters. In addition to his work for TV and commercials, Michael formed the band "Chasing Saints," which is poised to take over rock radio. In addition to being a prolific songwriter, Michael is a genuine person who has supported Sonoma Wire Works for years. We caught up with Michael at Winter NAMM where we were able to catch up on his latest endeavors. Michael called us up a few weeks ago to let us know his thoughts about RiffWorks and DrumCore. How did you get into doing music professionally? I started here in Nashville in 1998. Before that I was in New York and played in bands and worked my way up the ladder playing regionally. I had the whole dream of doing the record label thing. I was around 20, 21, and started to get a little money which changed things. We got a manager and it changed things, it didn't feel like a good fit, so I moved to Nashville. I didn't know anyone and met this guy who turned out to be a producer/engineer. At the time I didn't know who he was, but coming home, I saw that he had worked on a lot of CDs I had. He invited me out to some of the studios he was working at. The opportunity came up for me to be an assistant on a session. All I had to do was hit play and record so I did that and it was a great opportunity for getting into the scene. I became an assistant to several engineers and learned all about ProTools, compressors, EQs, everything. It was such an amazing learning opportunity and I enjoyed every minute of it. I studied these guys, and even took their notes home and studied the charts they would draw. I never went to music school, so I learned music theory by listening to the recordings, studying the charts, and talking with the musicians. Eventually I ended up getting to know studio managers and owners and bartered for studio time. I would work on projects and work on my own material at night. The main thing that I have been working on is an original band project, Chasing Saints. That came out of TV placements I was getting, so I spent time getting the right guys together and making a band thing out of it. Aside from that, I play for a lot of composers out here in LA. We're working on a series now for USA called "Facing Kate". I play guitar on that show and a lot of other shows which is fun. I'm also writing music for NBC's "The Sing Off" and "Extra," "TMZ," and others. In the past I did stuff for "Hannah Montana," "High School Musical," and companies like Sketchers and Audi. Do you have your own home studio or do you work at other studios? I used to rent a studio, but I've always had my own home setup. For a while I was renting a studio in north Hollywood. As that studio got busier it got harder to work my schedule in. Many times when I needed to work it would be occupied so it made more sense for me to move everything back to my house. Basically, I have everything at my house except for the huge console, but it works out fine because I was mainly using that to record drums. Now, with DrumCore, I don't need that anymore. It saves me a lot of money in studio fees and its easy to tweak the loops to fit in to my projects. It's so much easier than getting a drummer, miking a set, renting a studio space, etc. You have several Sonoma Wire Works programs. Has FourTrack helped your songwriting? It depends on what aspect of songwriting. The other day I was out of town driving from Connecticut back to New York, and so in my car I pulled out FourTrack on the phone and started singing different ideas. I sang a bass line, a melody, some rhythm stuff and it was something I could have never done before. I was generating ideas on the go and having something to reference later. Also, when it comes to acoustic stuff, I've used FourTrack with my Blue Mikey and recorded demos wherever I happened to be. When it comes to TV and Film music, I don't use FourTrack for that, but vocal oriented songwriting is something that FourTrack works great for. Everywhere I've taken it, it's ended up being this big hit. People are shocked you can record stuff on a little iPhone! You were with us years ago, when our only product was RiffWorks. I thought RifWorks was awesome! RiffWorks, for me, took out the guess work. Programs like ProTools have such a high learning curve. For songwriters that just want to get quality recordings as easy as possible, RiffWorks is perfect. It can be overwhelming to get into a program like ProTools, whereas RiffWorks is the perfect entry program. RiffWorks is so simple, yet the quality is so good. All the effects and drum content are perfect and the price point is perfect. All of music software companies are cramming as many features into their programs as possible, whereas we are trying to keep things simple. How do you feel about that? You know, so many programs keep adding features that only a small percentage of users will even touch. I'm a very organic guy, I like live instruments, and to me simplicity is great. My perspective of RiffWorks is that it fits that need songwriters have of being simple and quick yet sounding good enough for demos. I think simple is better. I met you guys at NAMM, and you guys were only three people back then. The friend I was with is a musician but not a big recording guy, but when we saw your demo, he totally got it. It made a huge impression on me that someone with no recording experience could pick it up and understand it so intuitively. Is that the response you guys typically see with RiffWorks? It's a program you really need to see to understand. It's not easy to explain. I think the other element is that the market is so overrun with programs saying that they are easy that people become overwhelmed and they don't believe it anymore. You guys come along with a program that really is easy! Everyone's mind works differently though. Logic is a program that baffled me when I first saw it, and Digital Performer as well, but for some people those programs are perfect. There is no one size fits all, but RiffWorks definitely merits investigation. 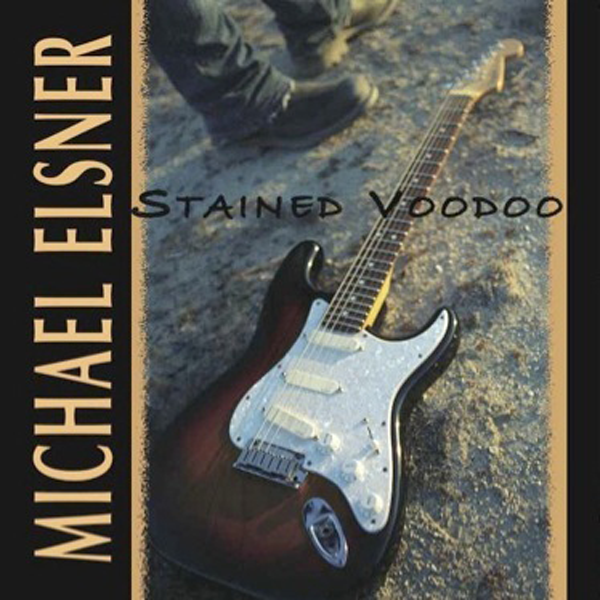 MichaelElsner.com has a lot of my music up. You can hear my own music as well as music from my Chasing Saints project. There is a third music player up on the site that features the music I write for TV and Film on there as well. "For songwriters that just want to get quality recordings as easy as possible, RiffWorks is perfect. It can be overwhelming to get into a program like ProTools, whereas RiffWorks is the perfect entry program. RiffWorks is so simple, yet the quality is so good. All the effects and drum content are perfect and the price point is perfect."